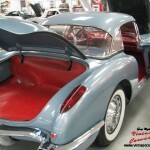 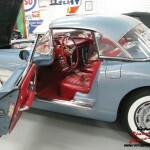 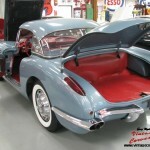 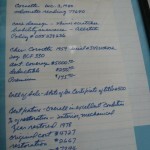 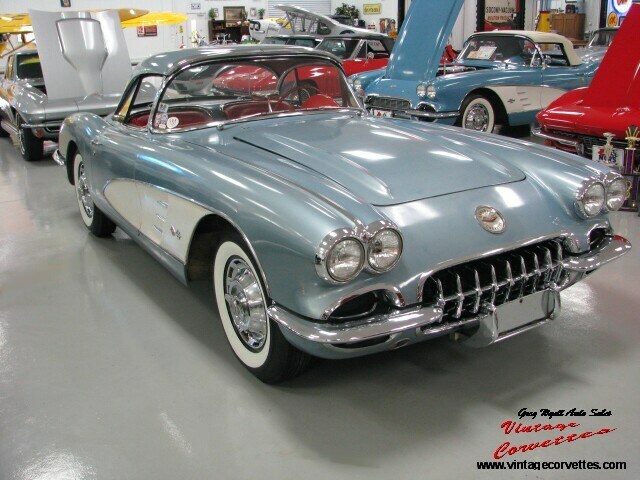 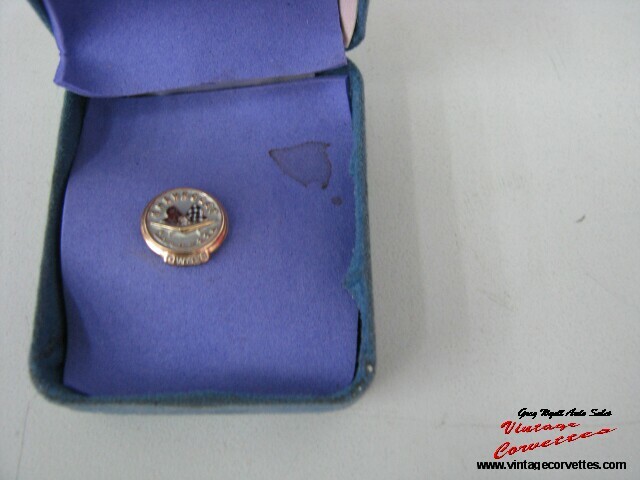 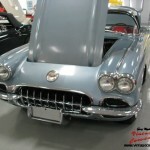 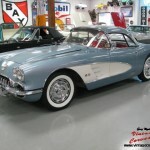 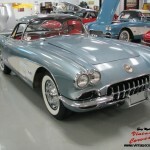 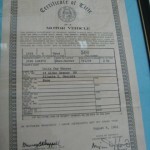 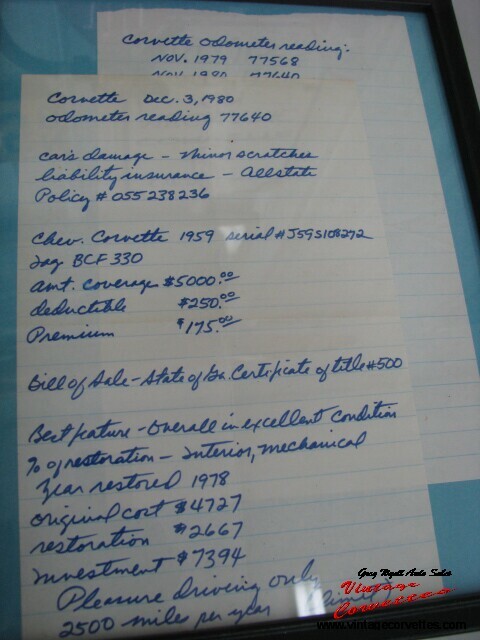 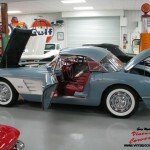 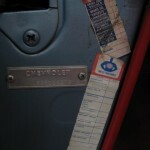 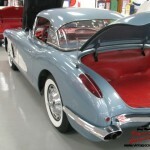 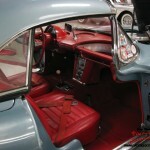 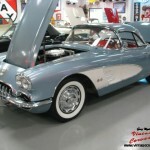 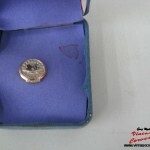 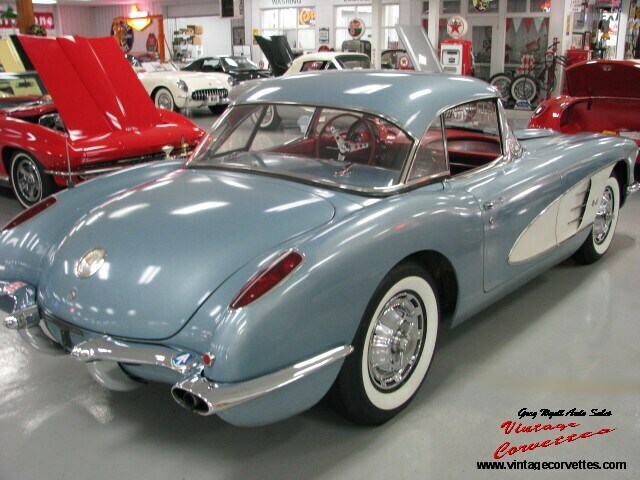 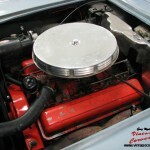 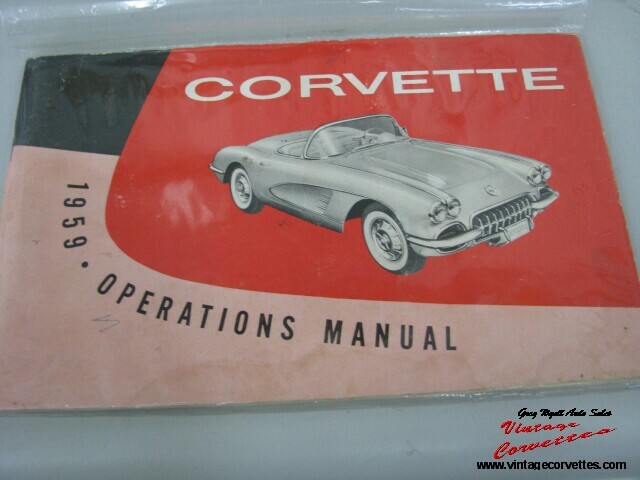 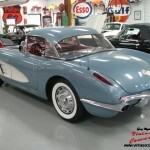 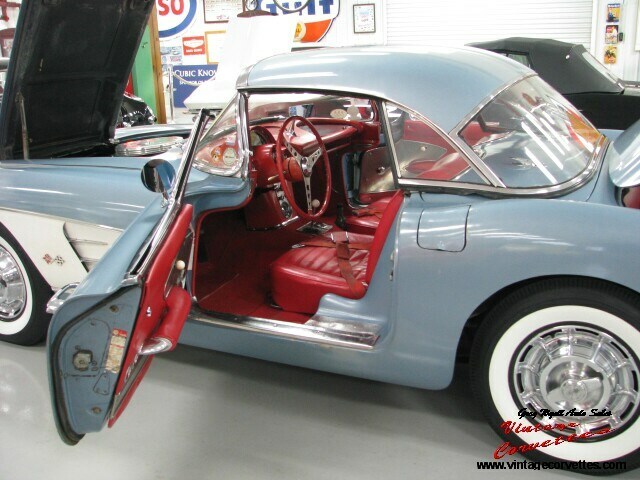 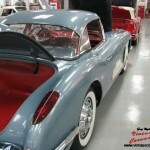 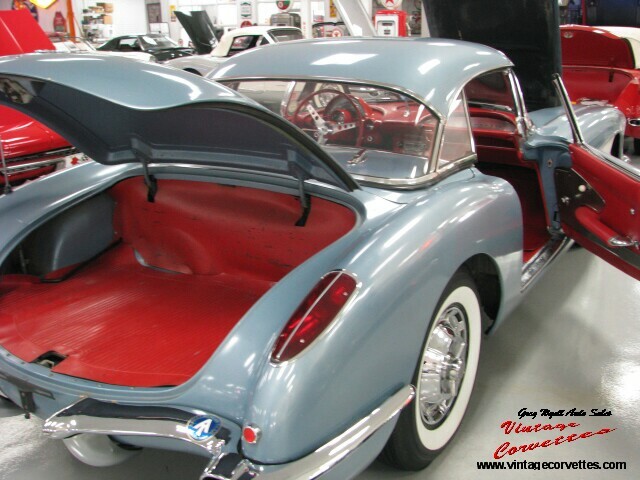 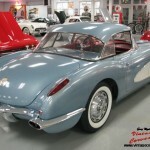 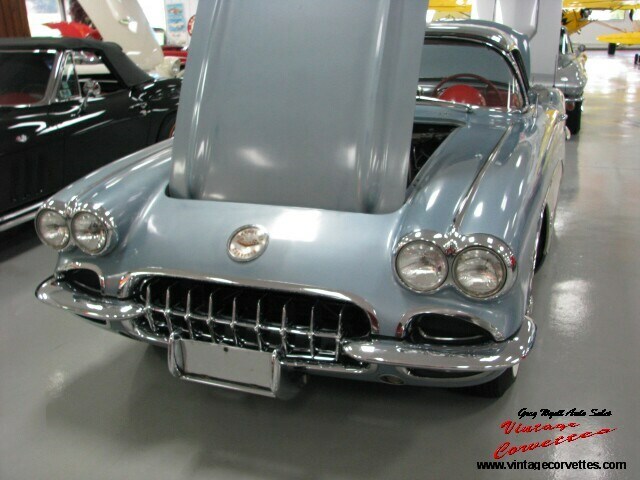 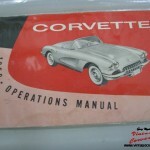 Greg Wyatt Auto Sales | 1959 CORVETTE SURVIVOR – ONE OWNER – FROST BLUE – SOLD!! 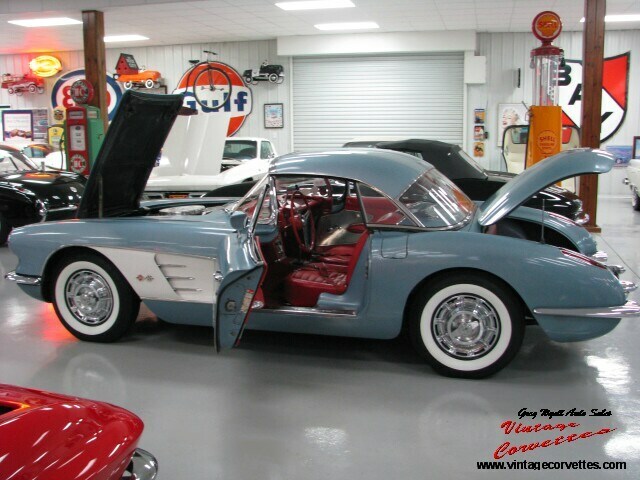 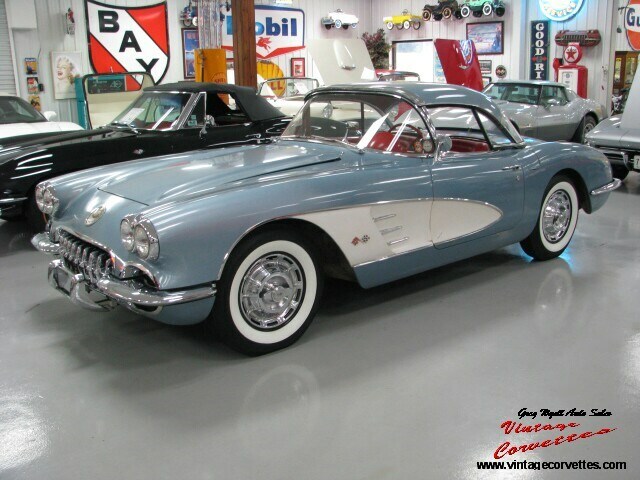 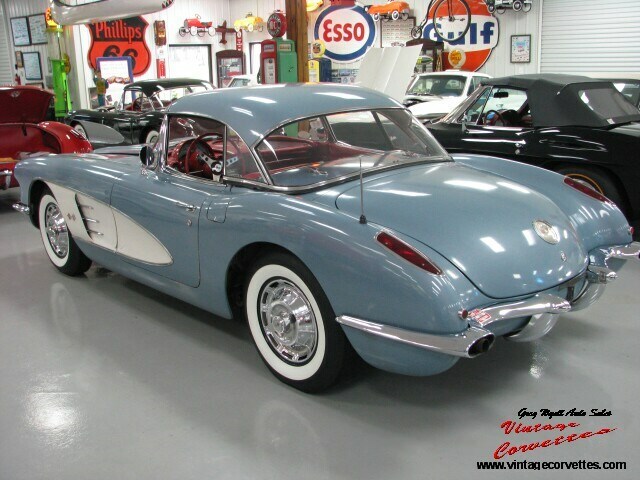 1959 CORVETTE SURVIVOR – ONE OWNER – FROST BLUE – SOLD!! 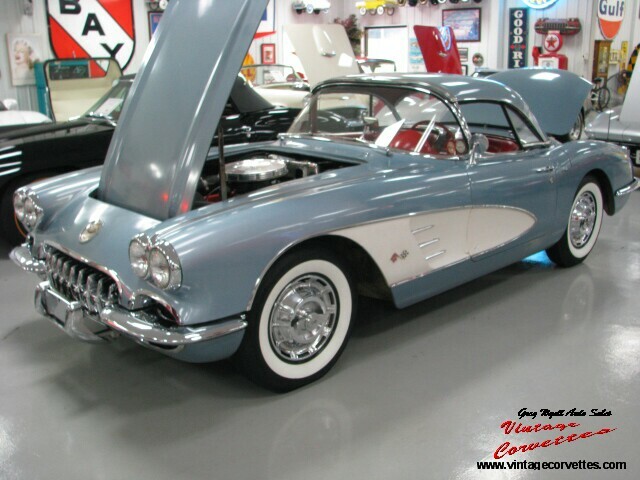 ONE OWNER, FROST BLUE WITH RED INTERIOR, WHITE COVE AND SOFT-TOP. 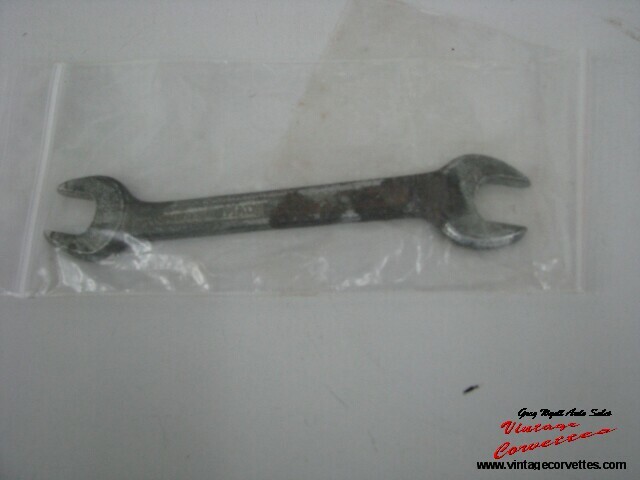 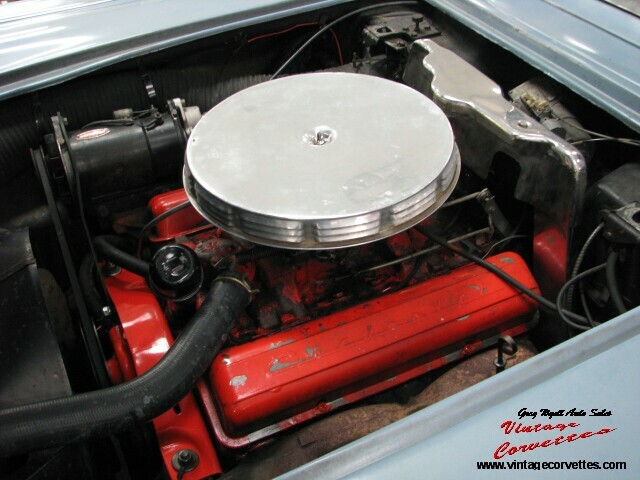 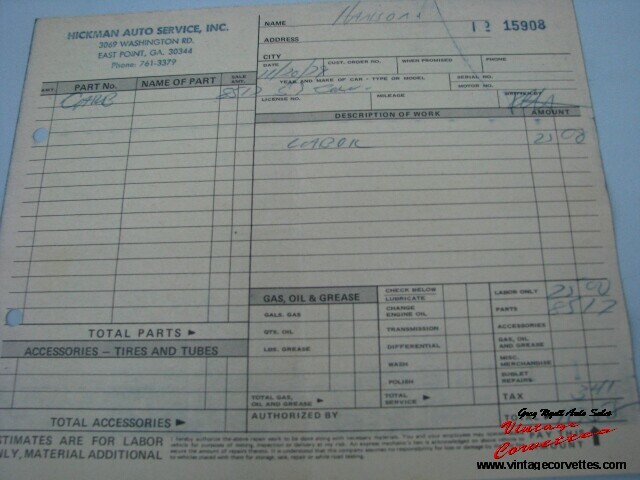 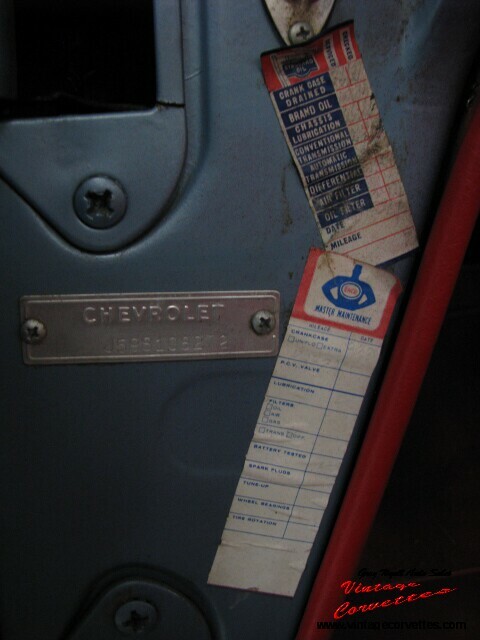 ALL CORRECT NUMBERS WITH ORIGINAL ENGINE NEVER OUT OF THE CAR. 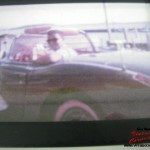 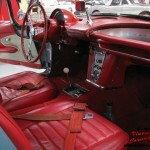 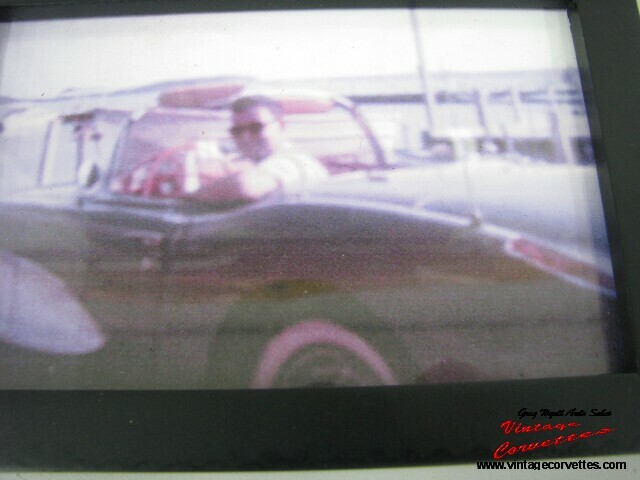 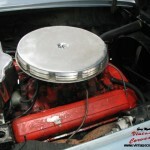 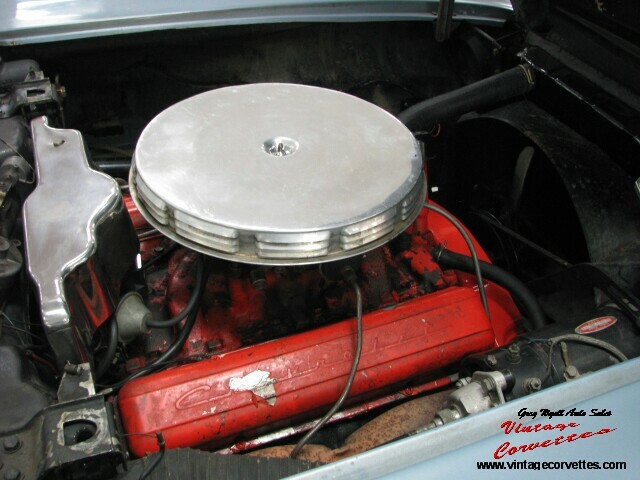 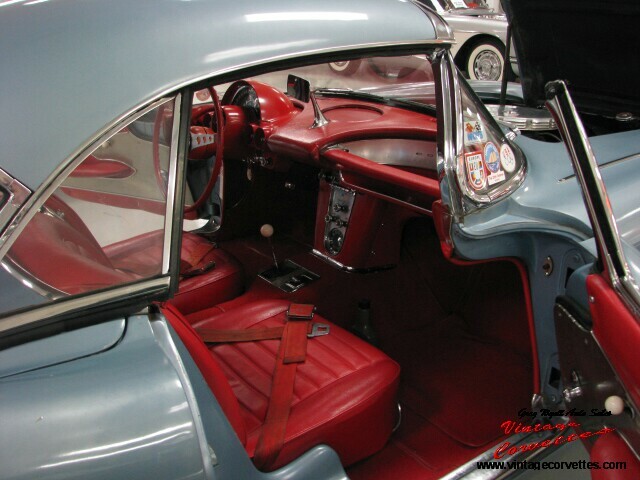 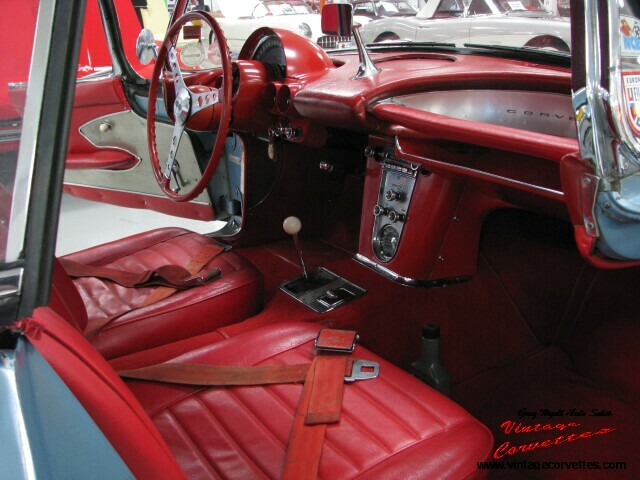 283 – 250 HP / AUTOMATIC WITH HEATER, RADIO, SUNSHADES, COURTESY LIGHT, BOTH TOPS, ORIGINAL PAINT AND CHROME. 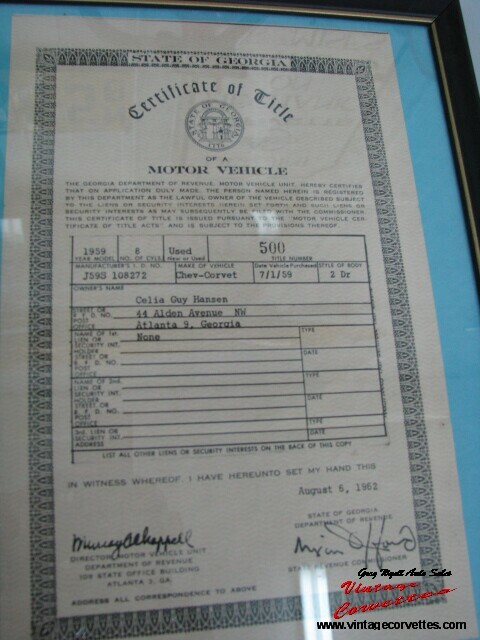 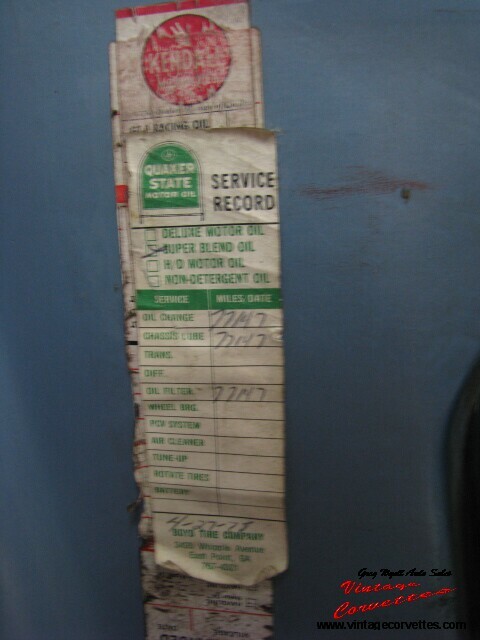 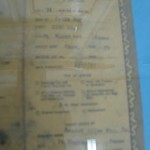 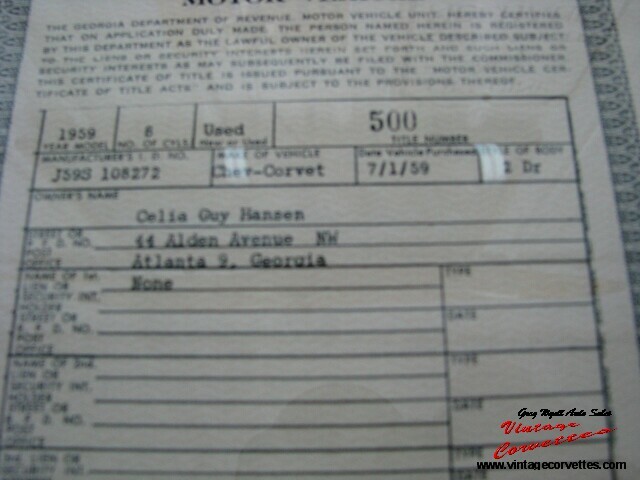 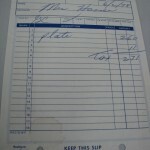 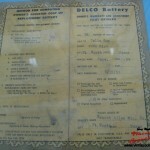 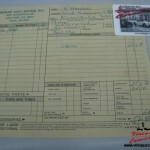 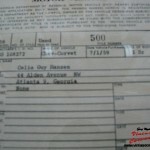 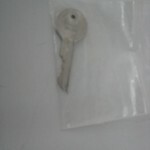 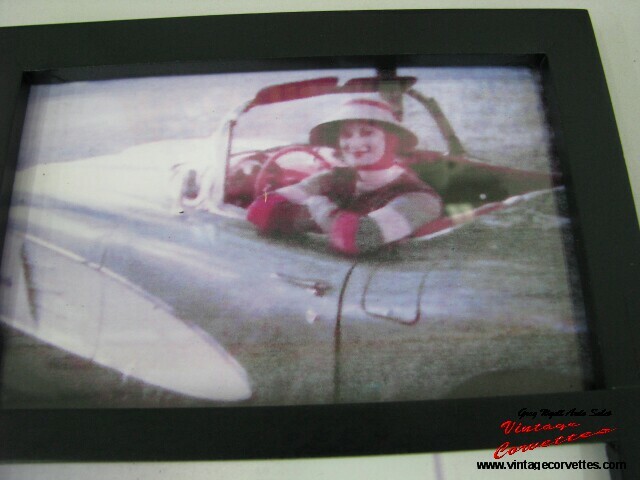 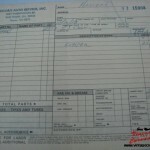 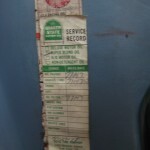 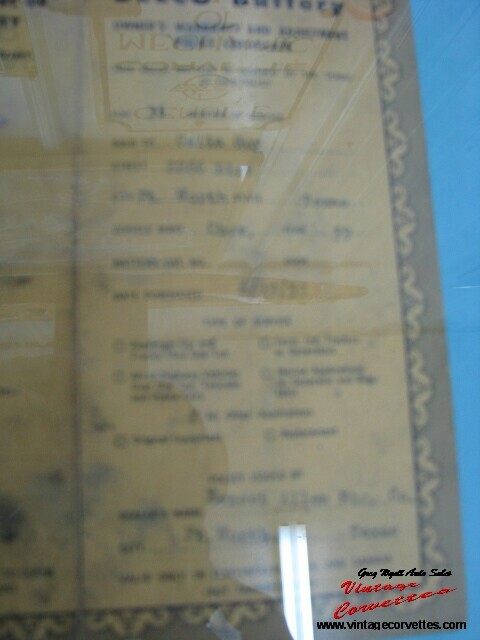 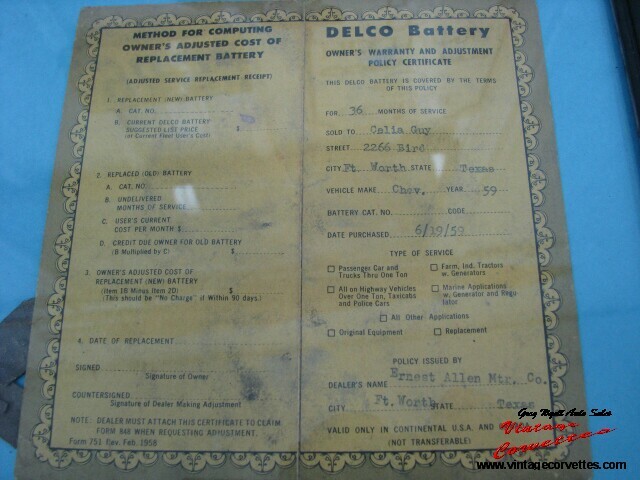 ONE OWNER CAR WITH DELCO BATTERY CARD, OWNER PROTECTION POLICY, TITLE CHANGED IN 1962 TO MARRIED NAME, CELIE GUY TO CELIA GUY HANSEN. 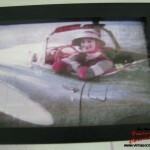 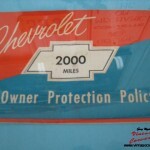 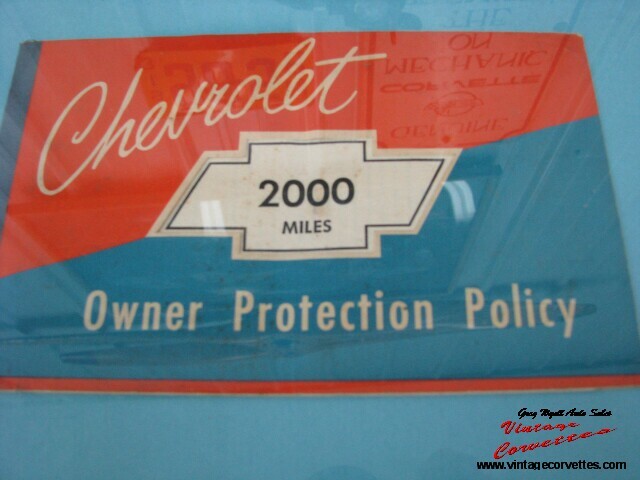 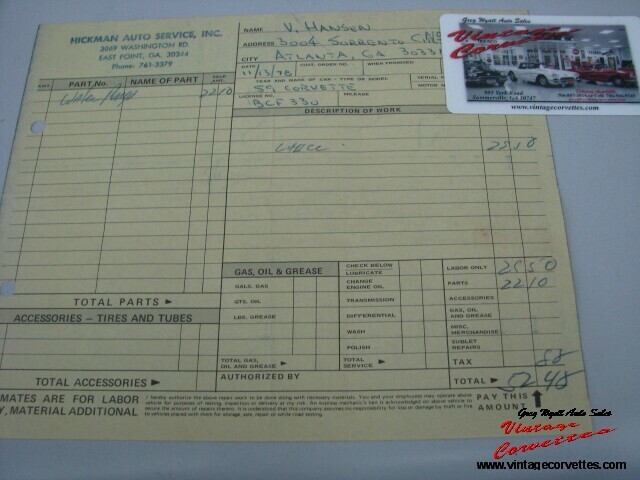 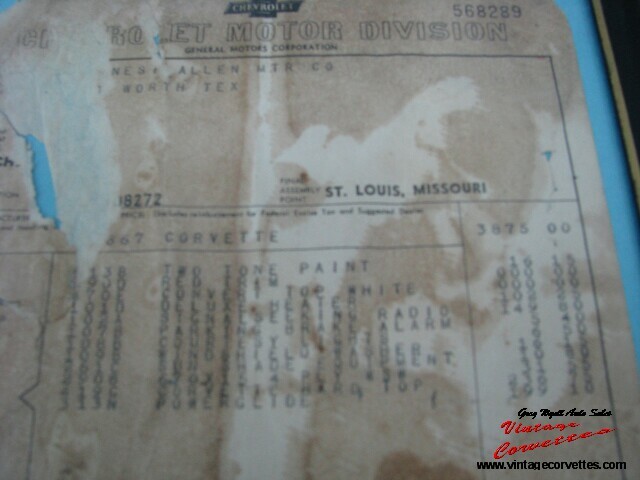 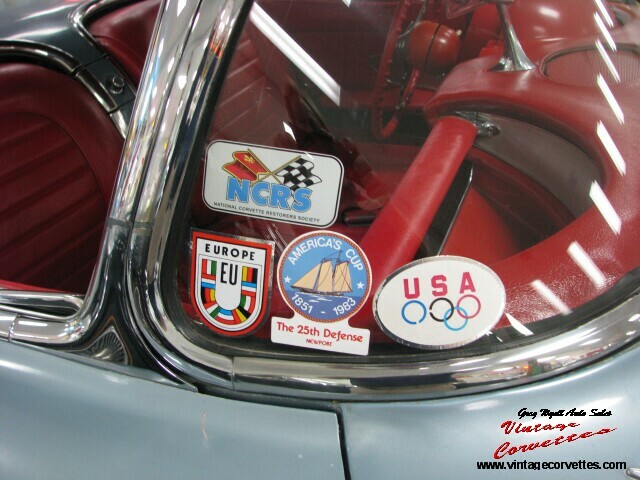 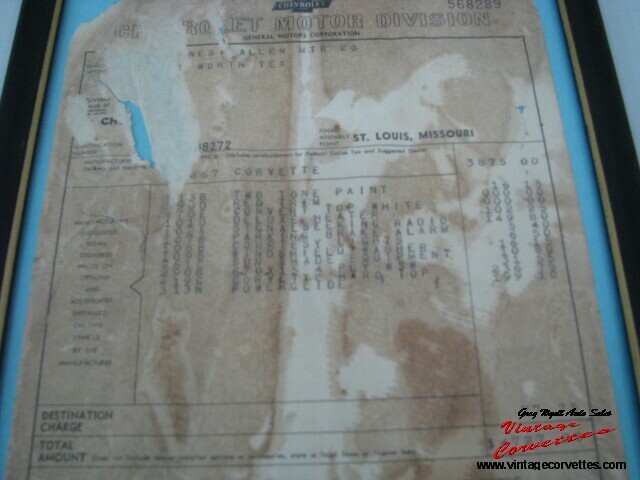 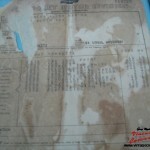 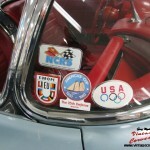 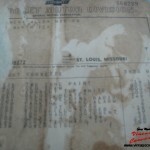 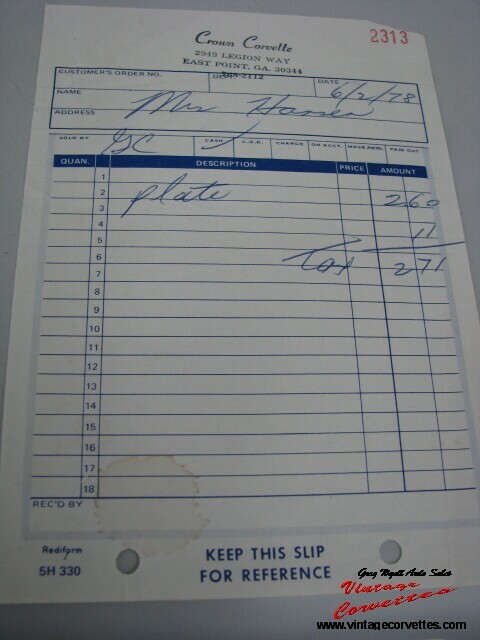 ORIGINAL WINDOW STICKER, CAR RUNS AND DRIVES GREAT!